Isabel Lee | Malaysian Beauty & Lifestyle Blogger: Roti Canai Parachute & Kuih Growing on Trees? Roti Canai Parachute & Kuih Growing on Trees? Which do you think will work better as a parachute? Roti planta or roti tisu? Spot a flying orang utan as well! Before you think I've gone mad, these are pictures of the Galaxy Wonderland! Never knew Malaysia could look so magical and pretty. Submit pictures or photos of how you see Malaysia HERE. 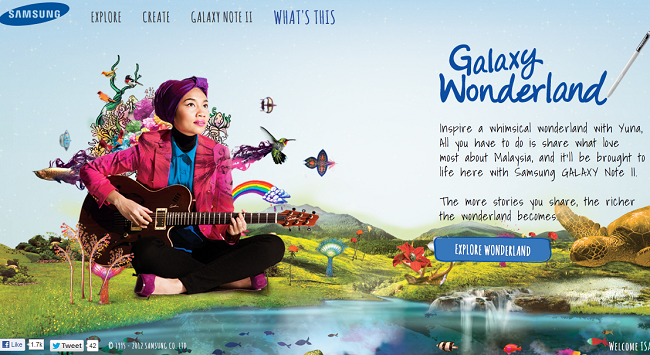 They will inspire a bunch of illustrators at Samsung to add magical pictures to the Wonderland. As more and more people submit, the Wonderland will continue to grow! 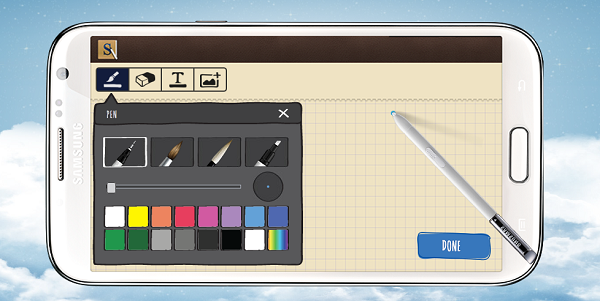 Use the Samsung Galaxy Note II on the website to create your picture! 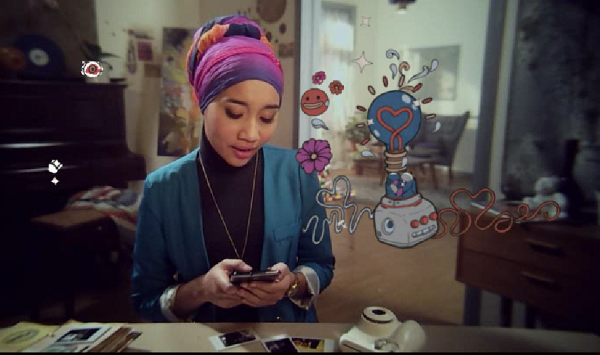 After all, it is the perfect gadget to unleash your creativity, anytime, anywhere. I drew a... ketupat kite! xD When we go out for satay, I usually eye the ketupat instead and I even love it plain. My lines are so wobbly though. Would have been better with the S Pen on the Galaxy Note II! I can take a photo of an object, crop it out then add my own creativity to it to make it unique! Seeing the result of the Sparkle Project, I can't wait for this one!